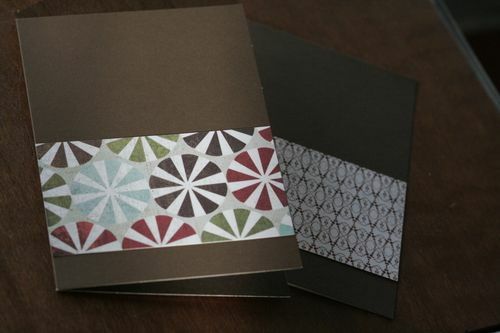 This years design is going to vary as far as the patterned paper and the cardstock. The photo and ribbon will be the same for each card. First I determine what stamping elements I am going use. Yes, I know I could have done this with the computer and saved some time but I really like the 'shabbiness' of the opaque ink on the photo. 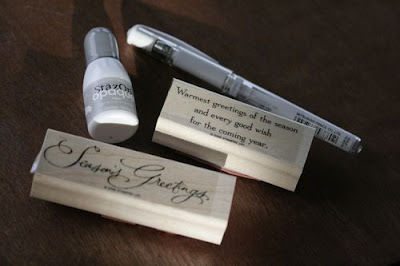 Both stamps are from Stampin Up! 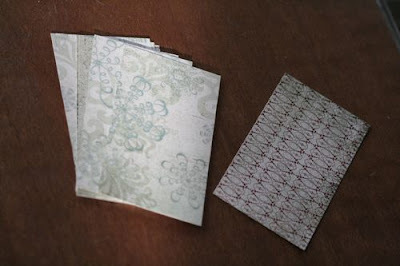 I attached these strips to the card fronts...here I am showing brown cardstock that was used. I am also going to use red, blue and gray. 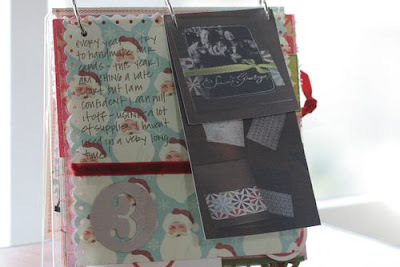 Adhered the photo and wrapped the ribbon around the card front (make a slit on the fold side so you can 'thread' your ribbon through) and tie a knot. I have printed some photos in B&W and some with a funky 60s action. These were taken by my photography friend Larry Chen here in Vancouver, WA. I used a corner rounder, then I stamped 'Season's Greetings' with opaque white Staz On. 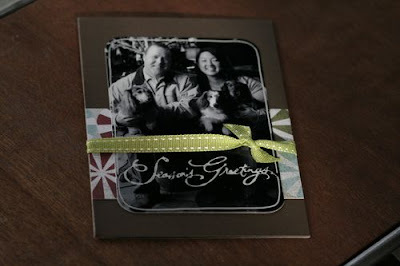 Then I took my white gel pen and drew a border around the edges of the photo - all free hand to give it that shabby look. Now 249 more to make!